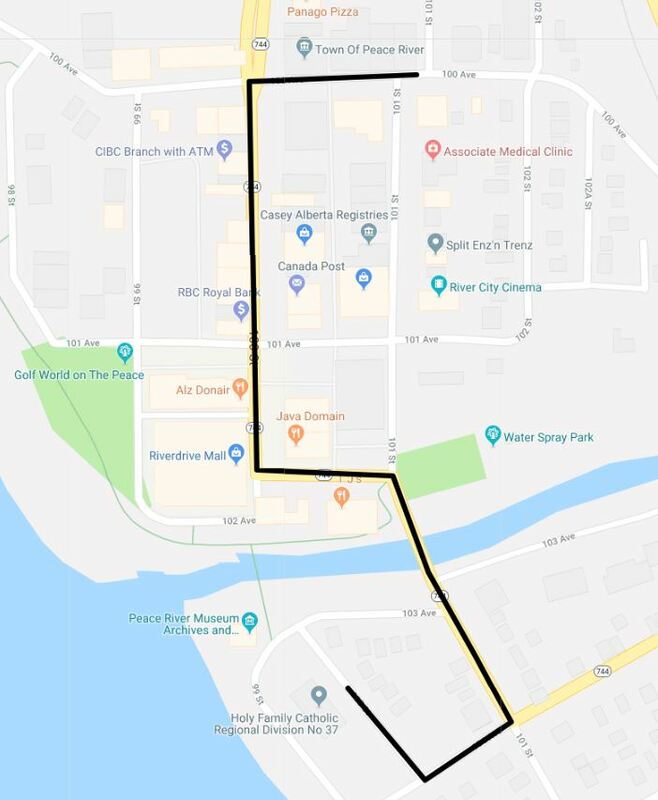 On Friday, November 16, 2018, beginning at 2 PM there will be a ramp ceremony outside of the downtown fire hall in Peace River (10018 – 100 Ave). This ceremony will be followed by a procession down Main Street and across the Heart River bridge to the Catholic Conference Centre. The procession will be led by first responders, followed by members of the Peace River Fire Department and their families. Members of the public are invited to join in the memorial service at the fire hall and to join in at the end of the procession or to watch along the procession route. There will be some traffic disruptions in the area, drivers are asked to avoid the intersection of 101 Street and 100 Avenue as they will be blocked in to allow people to gather at the fire hall. Once the procession arrives at the Catholic Conference centre there will be a memorial service inside. Due to space constraints, the service in the Catholic Conference centre will be reserved for the Fire Department and invited guests only. The Town of Peace River and the Peace River Fire Department wish to express our immense gratitude for the outpouring of support over the last few difficult days. Kind messages from local residents and from across the country have helped as our department works through this mourning period.